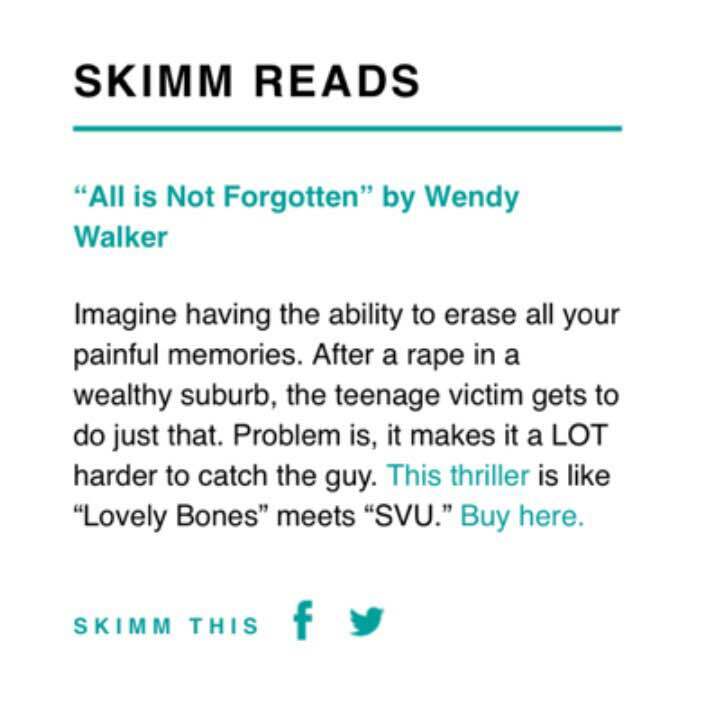 ALL IS NOT FORGOTTEN on The Skimm! 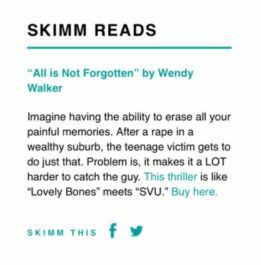 In case you missed, it, Wendy Walker’s All Is Not Forgotten just got Skimmed!So fun to see The Skimm share the love, calling it “‘Lovely Bones’ meets ‘SVU. '” Don’t miss it.